California’s climate, characterized by warm, dry summers and mild winters, makes the state’s water supply unpredictable. For instance, runoff and precipitation in California can be quite variable. The northwestern part of the state can receive more than 140 inches per year while the inland deserts bordering Mexico can receive less than 4 inches. Precipitation averages about 193 million acre-feet per year. In a normal precipitation year, about half of the state’s available surface water – 35 million acre-feet – is collected in local, state and federal reservoirs. California is home to more than 1,300 reservoirs. About two-thirds of annual runoff evaporates, percolates into the ground or is absorbed by plants, leaving about 71 million acre-feet in average annual runoff. The snow season, which started this month, is off to a good start. A series of December storms covered the Sierra Nevada with heavy snow, leaving the snowpack at 106% of average, according to the state’s snow survey. But a new study suggests that Californians won’t always be able to rely on melting snow to trickle down the mountains each spring, filling state reservoirs for use over the long, dry summers. As all eyes turn to the State Water Resources Control Board on Wednesday, the board won’t have complete settlement agreements with Modesto-area irrigation districts to consider at a crucial meeting. At most, the districts and negotiators with the state Natural Resources Agency will have the basic framework of an agreement that’s an alternative to a state plan for river flows that is fiercely opposed by water users and local agencies in Stanislaus County. 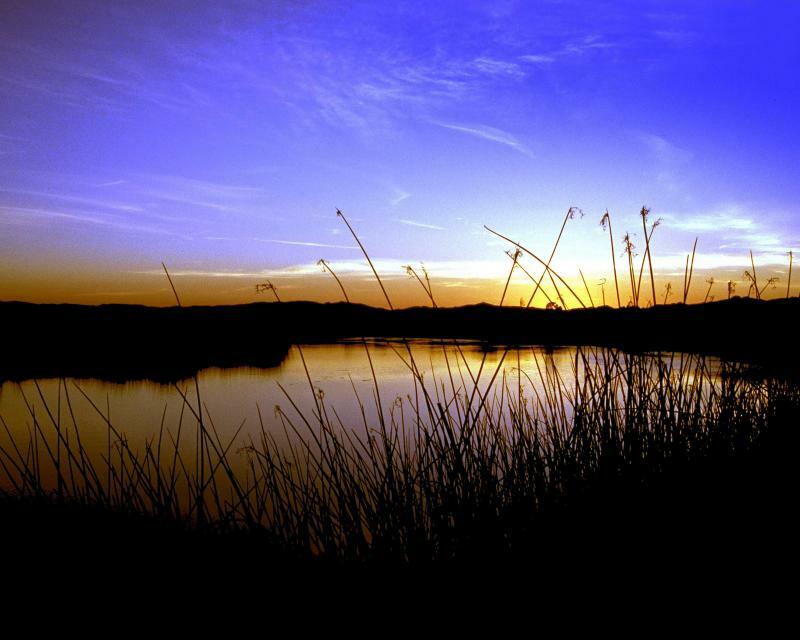 This 2-day, 1-night tour offers participants the opportunity to learn about water issues affecting California’s scenic Central Coast and efforts to solve some of the challenges of a region struggling to be sustainable with limited local supplies. More than three months after the Carr Fire was contained, the burned out hillsides the deadly blaze left behind continue to pose a threat to water quality in western Shasta County. 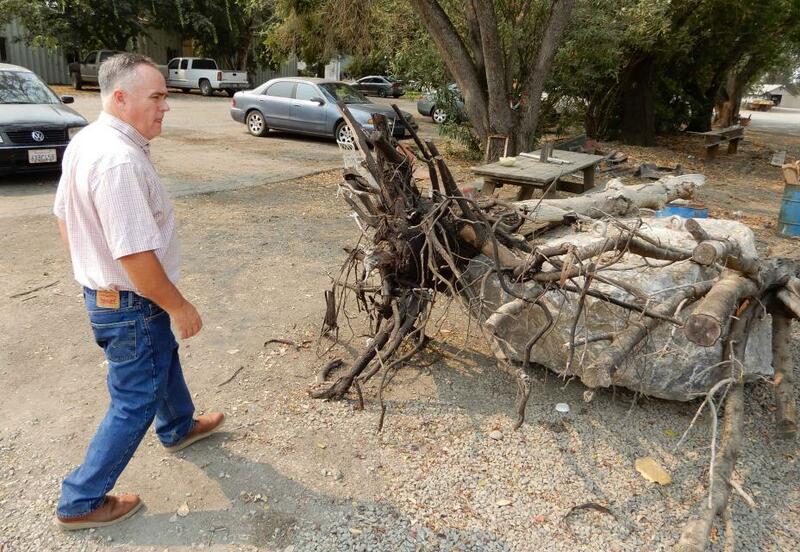 The barren fire-scarred hillsides could cause drinking water quality problems for communities that rely on water from Whiskeytown Lake, according to a report written for the Shasta County Public Works Department. Sen. Dianne Feinstein is joining forces with House Republicans to try to extend a controversial law that provides more water for Central Valley farms, but with a sweetener for the environment: help with protecting California’s rivers and fish. The proposed extension of the WIIN Act, or Water Infrastructure Improvements for the Nation Act, would keep millions of federal dollars flowing for new dams and reservoirs across the West. The 1992 election to the United States Senate was famously coined the “Year of the Woman” for the record number of women elected to the upper chamber. In the water world, 2018 has been a similar banner year, with noteworthy appointments of women to top leadership posts in California — Karla Nemeth at the California Department of Water Resources and Gloria Gray at the Metropolitan Water District of Southern California. Not a rapid growth in energy prices. Not unemployment. Not rising public debt. Business leaders in some of the world’s most water-stressed countries say that water availability and pollution are the biggest risks to their operations. … Business executives and investors are gaining the same awareness as national security experts, generals, and diplomats: that the lack of reliable, clean water, made worse by climate change, unsettles societies, politics, and economies. 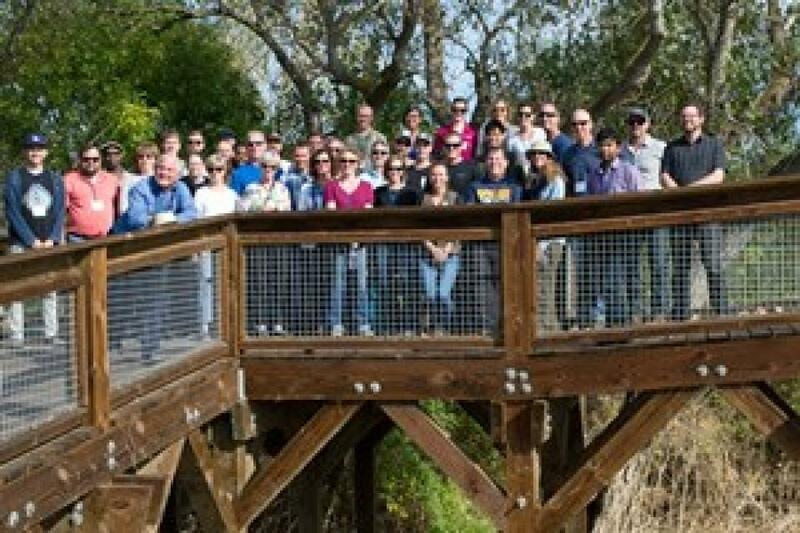 The 2018 Water Leaders class examined ways to improve water management through data. Read their recommendations in the class report, Catch the Data Wave: Improving Water Management through Data. Trump administration officials were in California on Tuesday to announce a $450 million loan for the Sites Reservoir project in Colusa County. The money will be used to build a tunnel to carry water from the Glenn-Colusa Canal to an existing reservoir, giving farmers on the west side of the Sacramento Valley more access to irrigation water. Earlier this year, state regulators sent California’s roughly 3,000 community water systems an annual report that included what the authors thought was a reasonable question. How many times in 2017, the State Water Resources Control Board asked, had local providers turned off water to their residential customers? What the question stirred instead was an information revolt, according to Max Gomberg of the Water Board. The federal government and the state of California seem to love suing each other, and have done so dozens of times in the past two years without causing anyone much damage. But President Donald Trump is now threatening to sue the state over control of water. This could harm a lot of people, because water is the source of the most contentious and enduring battles in America’s largest state. This tour ventured through California’s Central Valley, known as the nation’s breadbasket thanks to an imported supply of surface water and local groundwater. Covering about 20,000 square miles through the heart of the state, the valley provides 25 percent of the nation’s food, including 40 percent of all fruits, nuts and vegetables consumed throughout the country. Can El Niño Tell Us Anything About What’s Ahead for Water Year 2019? Just because El Niño may be lurking off in the tropical Pacific, does that really offer much of a clue about what kind of rainy season California can expect in Water Year 2019? Will a river of storms pound the state, swelling streams and packing the mountains with deep layers of heavy snow much like the exceptionally wet 2017 Water Year (Oct. 1, 2016 to Sept. 30, 2017)? Or will this winter sputter along like last winter, leaving California with a second dry year and the possibility of another potential drought? What can reliably be said about the prospects for Water Year 2019? At Water Year 2019: Feast or Famine?, a one-day event on Dec. 5 in Irvine, water managers and anyone else interested in this topic will learn about what is and isn’t known about forecasting California’s winter precipitation weeks to months ahead, the skill of present forecasts and ongoing research to develop predictive ability. It didn’t take long for the press releases to fly after President Donald Trump signed his recent memo — surrounded by GOP members of Congress — “promoting the reliable supply and delivery of water in the West.” Except for a few minor changes, most of the press releases issued by those congressmen said the same thing – that “environmental extremists and overzealous bureaucrats” have created a water crisis in California that has wreaked havoc in Central Valley farming communities. In California, it’s an $8.3 billion bond measure. In Colorado, it’s oil and gas regulation. And in Alaska, it’s how much deference to give salmon habitat when permitting mines, roads, and other infrastructure. This election season, voters in at least a half dozen states and counties will determine the fate of ballot measures that propose policy changes or billions of dollars in new spending that will affect the quality and availability of water supplies. Los Angeles Times: Can L.A. County stormwater tax clear the two-thirds bar for passage? President Trump claimed Tuesday that California mismanages its water resources, dismissing the possibility of drought and accusing the state of sending water out to sea that could be used to help farmers in the Central Valley. Trump also threatened to withhold federal disaster dollars from California, which he incorrectly claimed is impeding firefighters’ access to water during wildfires. San Francisco Chronicle: Trump: California has lots of water, so why are the lawns so brown? California Leans Heavily on its Groundwater, But Will a Court Decision Tip the Scales Against More Pumping? In 1983, a landmark California Supreme Court ruling extended the public trust doctrine to tributary creeks that feed Mono Lake, which is a navigable water body even though the creeks themselves were not. The ruling marked a dramatic shift in water law and forced Los Angeles to cut back its take of water from those creeks in the Eastern Sierra to preserve the lake. Now, a state appellate court has for the first time extended that same public trust doctrine to groundwater that feeds a navigable river, in this case the Scott River flowing through a picturesque valley of farms and alfalfa in Siskiyou County in the northern reaches of California. In a stark report that indicates previous assessments of potential climate change damages were too conservative, climate scientists outlined repercussions from two possible planetary futures, one considerably worse than the other. Severe economic and ecological shocks, including risks to health, food security, and water supplies, will happen sooner than expected if global temperatures continue to rise, according to a report from the U.N. Intergovernmental Panel on Climate Change (IPCC) that was released October 8. The California Supreme Court rejected a conservation group’s lawsuit Wednesday seeking to drain Yosemite’s Hetch Hetchy Reservoir, a source of water for San Francisco and surrounding Bay Area communities. Restore Hetch Hetchy, a Berkeley group, argued in its suit that the location of the dam and reservoir, which flooded a valley in the park after construction in 1923, violates a provision of the California Constitution requiring reasonable water use. Explore the Sacramento River and its tributaries through a scenic landscape as we learn about the issues associated with a key source for the state’s water supply. All together, the river and its tributaries supply 35 percent of California’s water and feed into two major projects: the State Water Project and the federal Central Valley Project. Tour participants will get an on-site update of Oroville Dam spillway repairs. In the 728-page document, the U.N. organization detailed how Earth’s weather, health and ecosystems would be in better shape if the world’s leaders could somehow limit future human-caused warming to just 0.9 degrees Fahrenheit (a half degree Celsius) from now, instead of the globally agreed-upon goal of 1.8 degrees F (1 degree C). Among other things: — Half as many people would suffer from lack of water. Foundation Event December 5, 2018 - 8:30am - 2:30pm Learn What’s in Store for Water Year 2019 at Dec. 5 Workshop in Irvine Experts to Discuss El Nino, Atmospheric Rivers and Long-Range Weather Forecasting Dec. 5 in Irvine Can El Niño Tell Us Anything About What’s Ahead for Water Year 2019? Water Year 2019: Feast or Famine? “Dry, hot and on fire” is how the California Department of Water Resources described Water Year 2018 in a recent report. Water Year 2018 – from Oct. 1, 2017 to Sept. 30, 2018 – marked a return to dry conditions statewide following an exceptionally wet 2017, according to DWR’s Water Year 2018 report. But 2017 was exceptional as all but two of the water years in the past decade experienced drought. Was Water Year 2018 simply a single dry year or does it signal the beginning of another drought? And what can reliably be said about the prospects for Water Year 2019? Does El Niño really mean anything for California or is it all washed up as a predictor? Attendees found out at this one-day event Dec. 5 in Irvine, Water Year 2019: Feast or Famine? Ben Hatchett - El Nino - Southern Oscillation all Washed up as a Predictor? Mike Anderson - So What CAN We Say About Water Year 2019? One of our most popular events, our annual Water 101 Workshop details the history, geography, legal and political facets of water in California as well as hot topics currently facing the state. 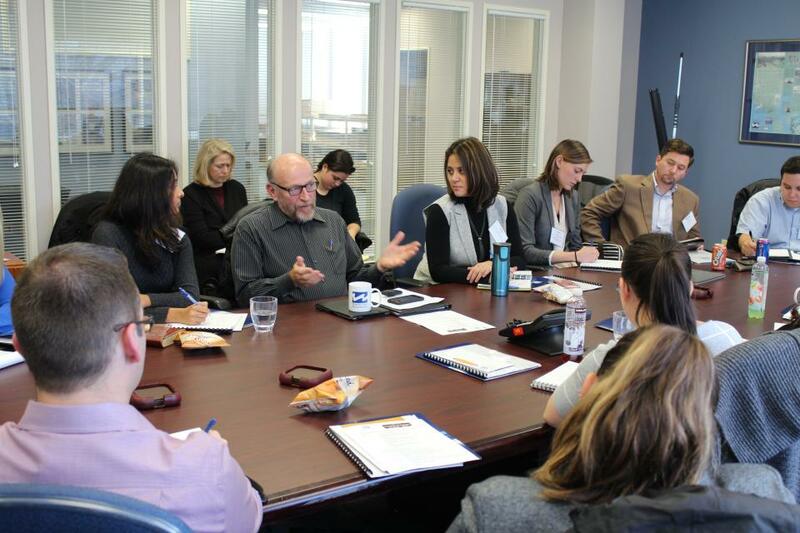 Taught by some of the leading policy and legal experts in the state, the one-day workshop on Feb. 7 gave attendees a deeper understanding of the state’s most precious natural resoures. On Feb. 8, we jumped aboard a bus to explore groundwater, a key resource in California. Led by Foundation staff and groundwater experts Thomas Harter and Carl Hauge, retired DWR chief hydrogeologist, the tour visited cities and farms using groundwater, examined a subsidence measuring station and provided the latest updates on the Sustainable Groundwater Management Act. What Would You Do About Water If You Were California’s Next Governor? There’s going to be a new governor in California next year – and a host of challenges both old and new involving the state’s most vital natural resource, water. So what should be the next governor’s water priorities? That was one of the questions put to more than 150 participants during a wrap-up session at the end of the Water Education Foundation’s Sept. 20 Water Summit in Sacramento. People in California and the Southwest are getting stingier with water, a story that’s told by the acre-foot. For years, water use has generally been described in terms of acre-foot per a certain number of households, keying off the image of an acre-foot as a football field a foot deep in water. The long-time rule of thumb: One acre-foot of water would supply the indoor and outdoor needs of two typical urban households for a year. California began a new water year Monday with some rain falling or in the immediate forecast after 12 months of below-average precipitation. The Department of Water Resources said the Oct.1-Sept. 30 water year that ended Sunday was marked by hot and dry conditions, except for sporadic significant precipitation. The San Diego County Water Authority Friday announced it will cease work on a seawater desalination plant at Camp Pendleton because of excessive permitting and cost hurdles by the State Lands Commission. The Cambria Community Services District is suing the contractor that designed and built the town’s Emergency Water Supply project, which was later renamed the Sustainable Water Facility. The lush plains east of Yosemite National Park offer a window into a bygone California — a place where sage grouse welcome the arrival of spring with theatrical mating rituals and cattle graze on verdant pastures. 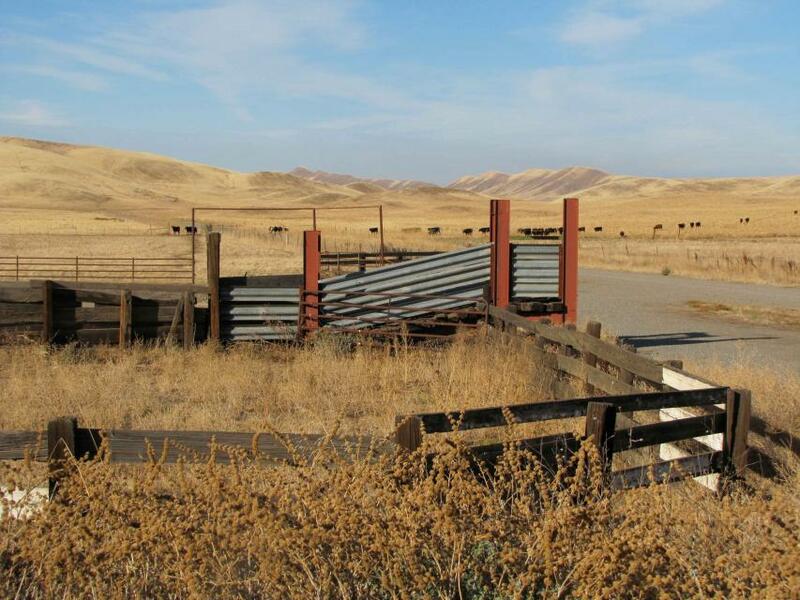 For nearly a century, these lands have been made green thanks to annual flooding by the Los Angeles Department of Water and Power, helping maintain cattle forage and keeping alive a culture of ranching in southern Mono County. The Colorado River Basin is more than likely headed to unprecedented shortage in 2020 that could force supply cuts to some states, but work is “furiously” underway to reduce the risk and avert a crisis, Bureau of Reclamation Commissioner Brenda Burman told an audience of California water industry people. 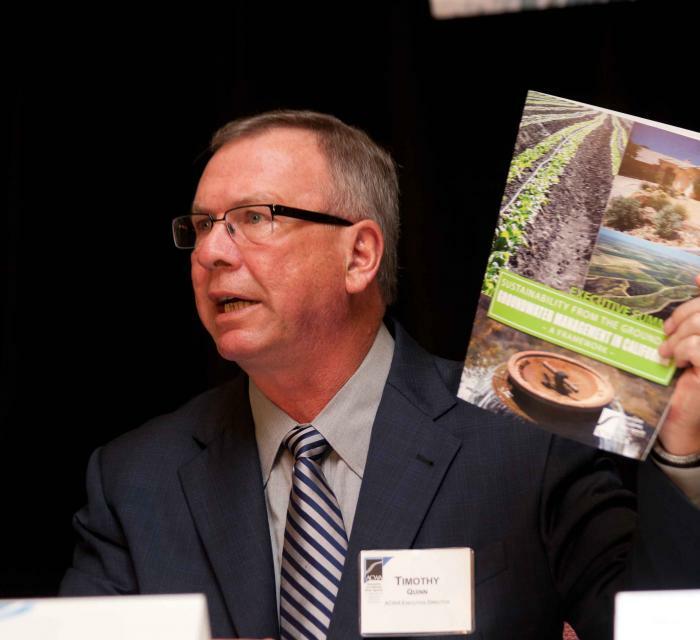 During a keynote address at the Water Education Foundation’s Sept. 20 Water Summit in Sacramento, Burman said there is opportunity for Colorado River Basin states to control their destiny, but acknowledged that in water, there are no guarantees that agreement can be reached. Friday’s Top of the Scroll: More critical water storage is finally coming to California. It took nearly 40 years. California officials have been pushing for more natural water storage since the last large-scale facility was built in 1979. Now they’re finally going to get it, thanks to political pressure, President Donald Trump and some congressional creativity. The House approved several provisions Thursday that help fund water storage projects. The Senate is expected to concur shortly, and Trump is expected to sign the legislation into law next week. 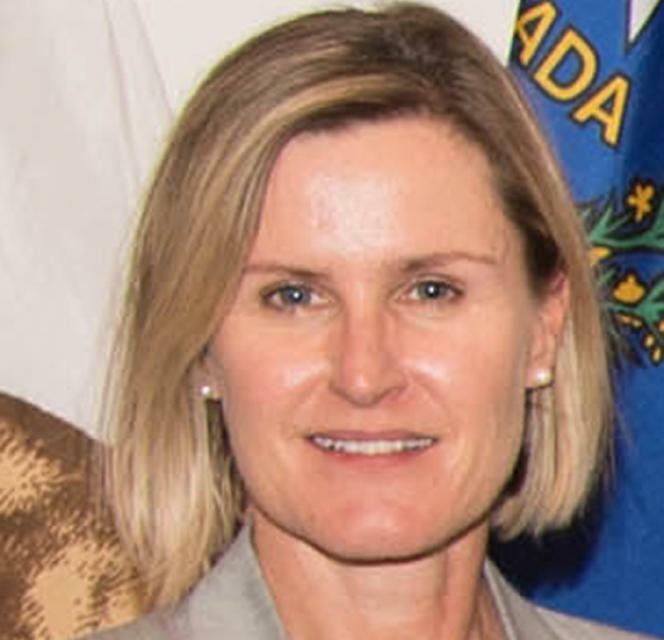 Felicia Marcus, chairwoman of the State Water Resources Control Board, has considerable influence over decision-making that could leave more water in rivers for salmon at the expense of irrigation districts in the Northern San Joaquin Valley. An hour’s drive north of Sacramento sits a picture-perfect valley hugging the eastern foothills of Northern California’s Coast Range, with golden hills framing grasslands mostly used for cattle grazing. Back in the late 1800s, pioneer John Sites built his ranch there and a small township, now gone, bore his name. Today, the community of a handful of families and ranchers still maintains a proud heritage. Wednesday’s Top of the Scroll: Trump administration talks of boosting Central Valley water deliveries. But is it just talk? With talk of boosting water deliveries to Central Valley agriculture, the Trump administration is telling growers exactly what they want to hear. But given California’s complex water system and a web of federal and state environmental regulations, such promises could prove more political than practical. … The office of Deputy Interior Secretary David Bernhardt will make final recommendations on the agency’s steps in early September. It’s wildfire season in the American West, and this one has already been setting records: the second-most destructive conflagration in Colorado, the largest-ever wildfire recorded in California and the worst air quality on record in smoky Seattle. Multiple fires continue to ravage the region, threatening homes, lives and, in many cases, water supplies. For eons, the earth has had the same amount of water—no more, no less. What the ancient Romans used for crops and Nefertiti drank? It’s the same stuff we bathe with. Yet with more than seven billion people on the planet, experts now worry we’re running out of usable water. 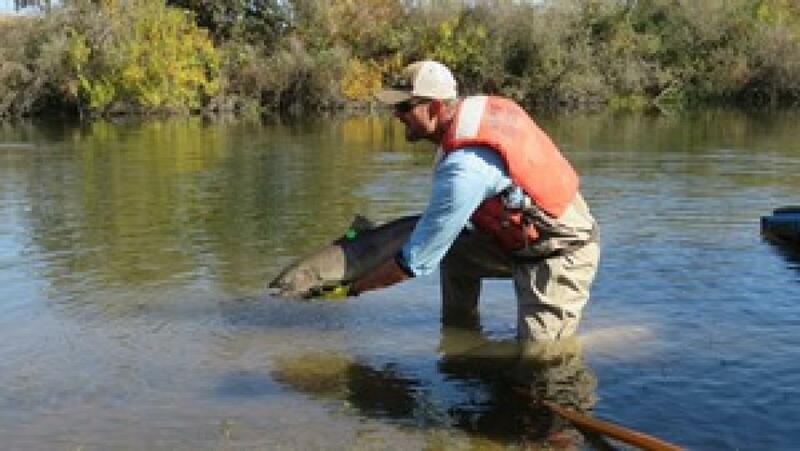 Farmers in the Central Valley are broiling about California’s plan to increase flows in the Sacramento and San Joaquin river systems to help struggling salmon runs avoid extinction. But in one corner of the fertile breadbasket, River Garden Farms is taking part in some extraordinary efforts to provide the embattled fish with refuge from predators and enough food to eat. And while there is no direct benefit to one farm’s voluntary actions, the belief is what’s good for the fish is good for the farmers. Central Valley farmers and their elected leaders converged on Sacramento on Tuesday to accuse the state of engineering a water grab that puts the fate of fish above their fields and jeopardizes a thriving agricultural economy. The allegations came at a meeting of the powerful State Water Resources Control Board, which recently unveiled a far-reaching plan to shore up the health of the Sacramento-San Joaquin River Delta, the West Coast’s largest estuary and a source of water for much of California. The Trump administration is accelerating efforts to pump more of Northern California’s water to farmers in the San Joaquin Valley, setting up a bruising conflict with state officials and environmentalists. In a major development for California American Water’s long-sought desalination project, the California Public Utilities Commission has issued a proposed decision recommending approval of the proposal known as the Monterey Peninsula Water Supply Project. President Trump’s tweets have become federal wildfire policy. … Some experts and advocates said the directive to temporarily bypass the Endangered Species Act is political theater. It’s unlikely to help douse the historic fires in California, and it probably won’t threaten vulnerable species, either. But it could lend weight to Trump’s version of events. Amy Haas recently became the first non-engineer and the first woman to serve as executive director of the Upper Colorado River Commission in its 70-year history, putting her smack in the center of a host of daunting challenges facing the Upper Colorado River Basin, including a drying climate and less water for the river. 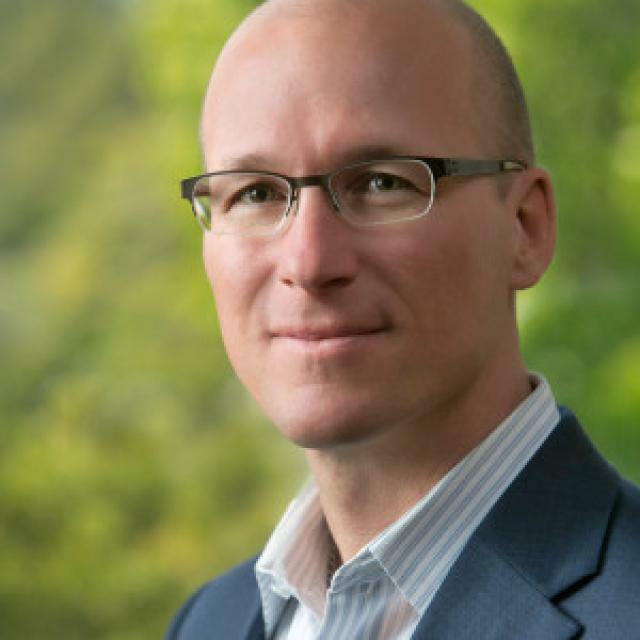 Haas talked with Western Water’s Gary Pitzer about the Upper Basin’s challenges and what’s ahead for the four Upper Basin states of Colorado, New Mexico, Utah and Wyoming. Amy Haas recently became the first non-engineer and the first woman to serve as executive director of the Upper Colorado River Commission in its 70-year history, putting her smack in the center of a host of daunting challenges facing the Upper Colorado River Basin. Yet those challenges will be quite familiar to Haas, an attorney who for the past year has served as deputy director and general counsel of the commission. 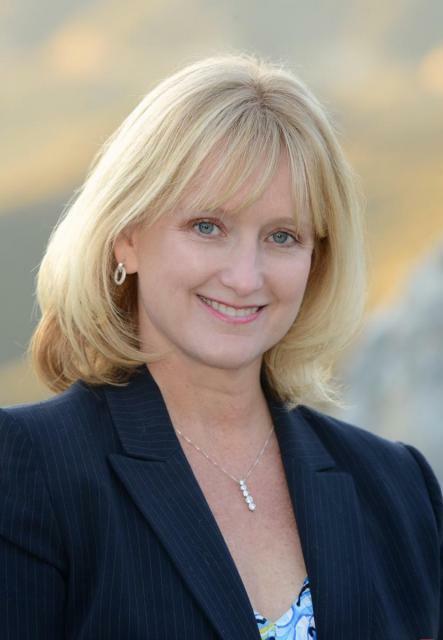 (She replaced longtime Executive Director Don Ostler). 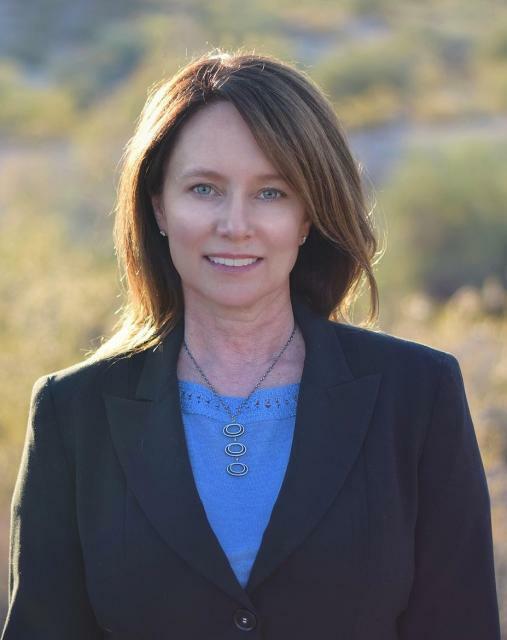 She has a long history of working within interstate Colorado River governance, including representing New Mexico as its Upper Colorado River commissioner and playing a central role in the negotiation of the recently signed U.S.-Mexico agreement known as Minute 323. The backdrop of [President Donald] Trump’s tweets is a charged debate before the State Water Resources Control Board, the agency tasked with allocating California’s water supplies. It is set to vote this month on a plan to increase flows in the San Joaquin River and its tributaries, which would help fish but hurt farmers. The Sacramento Bee: Trump says California’s water policies are making the wildfires worse. Is he right? Following nine years of research, a California agency has proposed to increase water flows in the San Francisco Bay-Delta Estuary. But the decision is causing contention between farmers and fisheries. 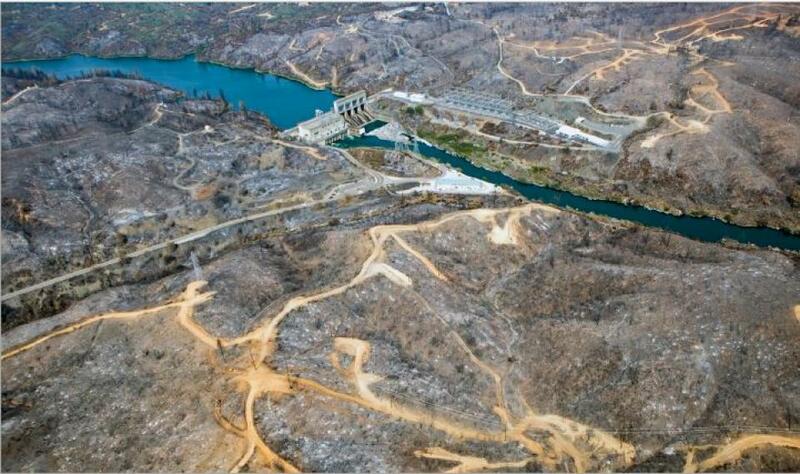 … The California Water Board is scheduled to vote on the proposal in August. San Francisco County alone added more than 120,000 jobs in five years – a huge leap in economic productivity that owes itself largely to the lucrative worlds of finance, technology and biotechnology. As people from around the country and the world continue clamoring to find their place in one of the most expensive and most congested cities, an important question is emerging in public discussions: Does California have enough water to go around, or will natural resources be sacrificed for economic success? The Department of the Interior issued a blistering attack against the state’s proposed water grab, saying it would “cripple the Central Valley’s economy, farms and community.” The comments late Friday afternoon came a week after Secretary of the Interior Ryan Zinke visited Don Pedro and New Melones reservoirs at the request of Rep. Jeff Denham, R-Turlock. U.S. Interior Secretary Ryan Zinke appears to be interested in the idea of draining Hetch Hetchy Reservoir in Yosemite National Park after meeting with a group that wants to tear down the century-old O’Shaughnessy Dam. For its litany of problems, it’s been hard to kill the tiny Sativa Los Angeles County Water District. … Across California, there are about 3,000 water agencies, remnants of an archaic system that until about two decades ago allowed anyone with a water source that could serve 15 or more people to seek a permit to create a community water system. 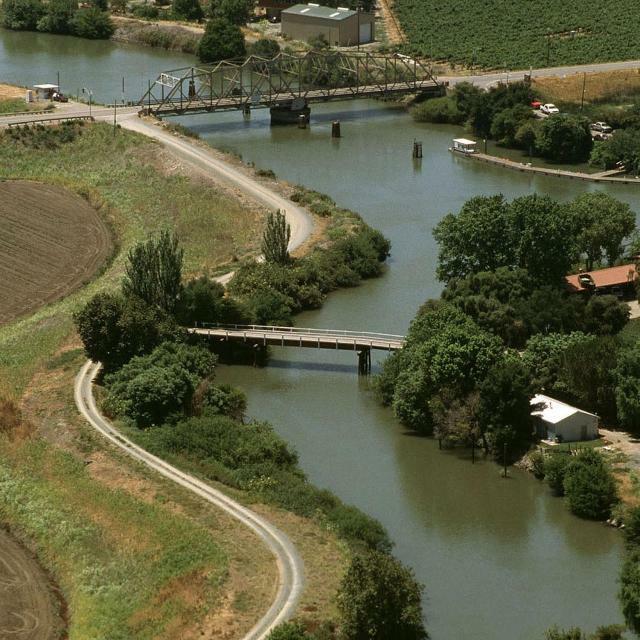 California water officials announced an ambitious plan Friday to revive some of the state’s biggest rivers, a move that seeks to stave off major devastation to wetlands and fish, but on the back of cities and farms. Sixty percent of California’s developed water supply originates high in the Sierra Nevada mountains. Our water supply is largely dependent on the health of our Sierra forests, which are suffering from ecosystem degradation, drought, wildfires and widespread tree mortality. We headed into the foothills and the mountains to examine water issues that happen upstream but have dramatic impacts downstream and throughout the state. 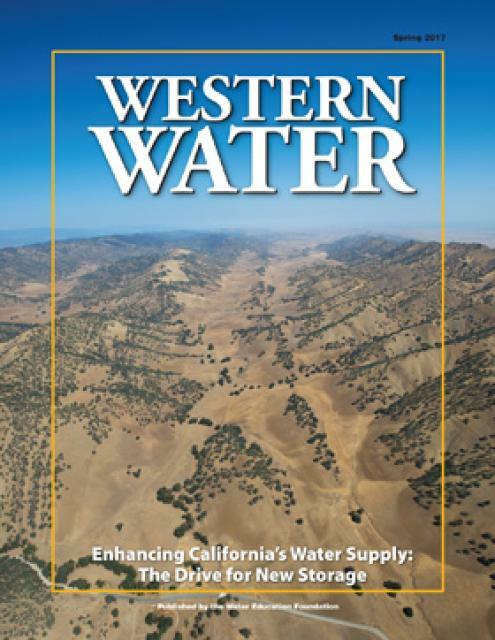 New water storage is the holy grail primarily for agricultural interests in California, and in 2014 the door to achieving long-held ambitions opened with the passage of Proposition 1, which included $2.7 billion for the public benefits portion of new reservoirs and groundwater storage projects. The statute stipulated that the money is specifically for the benefits that a new storage project would offer to the ecosystem, water quality, flood control, emergency response and recreation. The U.S. Supreme Court handed Florida a partial victory Wednesday in its decades-old water conflict with Georgia, ordering a court-appointed special master to take a fresh look at Florida’s claim it has been harmed by water consumption upstream. … From the Rio Grande in Texas to California and Oregon, states are sparring over water decisions of an upstream neighbor. Even though the country is growing, U.S. water withdrawals dropped to the lowest level since before 1970 with steep declines for municipal and electric power sectors, according to a U.S. Geological Survey report. Total withdrawals fell 9 percent compared to 2010 as the country’s population increased 4 percent. A major environmental health study that had been suppressed by the Trump administration because of the “public relations nightmare” it might cause the Pentagon and other polluters has been quietly released online. … PFAS [perfluoroalkyl substances] compounds are proving to be pervasive in public water systems and around military bases across the country. Nowhere is the domino effect in Western water policy played out more than on the Colorado River, and specifically when it involves the Lower Basin states of California, Nevada and Arizona. We are seeing that play out now as the three states strive to forge a Drought Contingency Plan. Yet that plan can’t be finalized until Arizona finds a unifying voice between its major water players, an effort you can read more about in the latest in-depth article of Western Water. Even then, there are some issues to resolve just within California. It’s high-stakes time in Arizona. 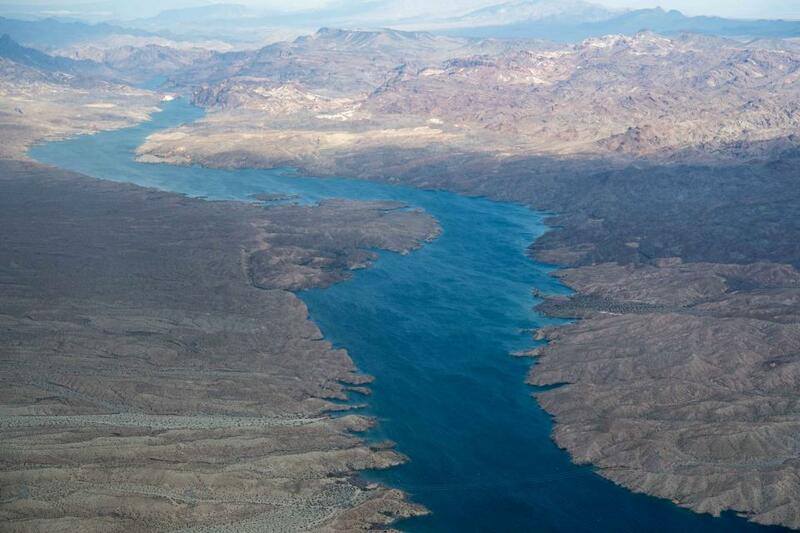 The state that depends on the Colorado River to help supply its cities and farms — and is first in line to absorb a shortage — is seeking a unified plan for water supply management to join its Lower Basin neighbors, California and Nevada, in a coordinated plan to preserve water levels in Lake Mead before they run too low. If the lake’s elevation falls below 1,075 feet above sea level, the secretary of the Interior would declare a shortage and Arizona’s deliveries of Colorado River water would be reduced by 320,000 acre-feet. Arizona says that’s enough to serve about 1 million households in one year. Three Californias: Which landmarks would end up in each? I’ll trade you a piece of Yosemite Valley and all of the Napa wine country for Disneyland and the Santa Monica Pier. … And don’t even get us started with probable battles over how the state’s precious water reserves would be distributed since California is currently criss-crossed with an insanely complex grid of aqueducts, dams, levees and channels. California’s 168-year run as a single entity, hugging the continent’s edge for hundreds of miles and sprawling east across mountains and desert, could come to an end next year — as a controversial plan to split the Golden State into three new jurisdictions qualified Tuesday for the Nov. 6 ballot. … Critics have long wondered how citizens of a state where the majority of water supplies exist in one region would react if negotiations over new interstate compacts to share the resource turned contentious. The frantic phone calls to the Community Water Center began in the summer of 2014. In the 7,000-strong unincorporated community of East Porterville, nestled against California’s Sierra Nevada mountains, homeowners’ wells were failing amid a historic drought. The Tijuana River is a temporary river, which is to say that at times it runs dry. But when the rains come, it runs near bursting. After a healthy spring storm, tires and bottles litter the muddy banks. … “I wouldn’t necessarily touch anything here,” cautions Matt O’Malley, executive director of San Diego Coastkeeper. The Big One could leave 250,000-400,000 quake refugees in California. Where will they go? When a catastrophic earthquake hits California, buildings will topple and potentially hundreds could be killed. But what gets less attention is the wrenching aftermath of such a huge temblor, which could leave whole neighborhoods torched by fires uninhabitable and hundreds of thousands of people without a home. The battle to drain the reservoir in Yosemite’s Hetch Hetchy Valley reignited Wednesday as critics of the historic dam told a panel of judges in Fresno that their legal case to raze it should proceed, despite an earlier decision to dismiss the suit. When my [Leo Heller] predecessor, Catarina de Albuquerque, visited California, what she found shocked her. Drinking water conditions were akin to those typically seen in a developing country: families without an acceptable level of safe drinking water or sanitation; exposed pipes running through irrigation ditches; crumbling or nonexistent infrastructure. Bureau of Reclamation’s Klamath Basin Area Office announced late Wednesday afternoon that up to 3,500 acre feet is available for delivery to Klamath Project irrigators starting today and running through May 31 before deliveries start on June 1. The California Department of Water Resources announced Monday this year’s allocation has been raised to 35 percent of full distribution, or 1.48 million acre-feet of water statewide. (One acre foot is enough to cover one acre of land with a foot of water.) As of last month, the agency planned to distribute only 30 percent of normal. The controversy over Nestlé’s bottled water operation in the San Bernardino National Forest has prompted a review of the company’s federal permit, a lawsuit and an investigation by California regulators. Now, Nestlé’s continued piping of water out of the San Bernardino Mountains has become an issue in a congressional campaign. We traveled deep into California’s water hub and traverse the Sacramento-San Joaquin Delta, a 720,000-acre network of islands and canals that supports the state’s water system and is California’s most crucial water and ecological resource. The tour made its way to San Francisco Bay, and included a ferry ride. Could the Arizona Desert Offer California and the West a Guide to Solving Groundwater Problems? 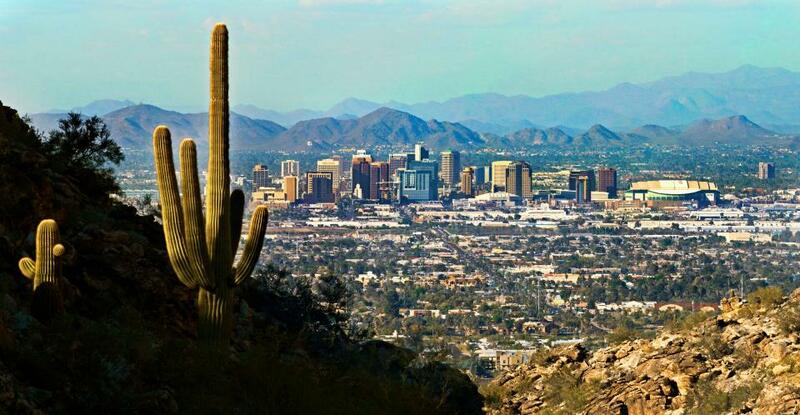 As California embarks on its unprecedented mission to harness groundwater pumping, the Arizona desert may provide one guide that local managers can look to as they seek to arrest years of overdraft. Groundwater is stressed by a demand that often outpaces natural and artificial recharge. In California, awareness of groundwater’s importance resulted in the landmark Sustainable Groundwater Management Act in 2014 that aims to have the most severely depleted basins in a state of balance in about 20 years. Using measurements from Earth-observing satellites, NASA scientists have tracked changes in water supplies worldwide and they’ve found that in many places humans are dramatically altering the global water map. … Their findings in a new study reveal that of the 34 “hotspots” of water change in places from California to China, the trends in about two-thirds of those areas may be linked to climate change or human activities, such as excessive groundwater pumping in farming regions. In a pointed message Wednesday, U.S. Bureau of Reclamation Commissioner Brenda Burman said drought and low flows continue on the Colorado with no end in sight, so it’s up to those who rely on the river to stave off a coming crisis. For Fresno County resident Anne Schmidtgall the California drought never ended. Two years ago, the well on her property east of Del Rey went dry when the casing caved in. … Two weeks ago, Assemblyman Joaquin Arambula, D-Fresno, testified before an Assembly budget subcommittee requesting $23.5 million be added to the state budget for water needs. Spurred by drought and a major policy shift, groundwater management has assumed an unprecedented mantle of importance in California. Local agencies in the hardest-hit areas of groundwater depletion are drawing plans to halt overdraft and bring stressed aquifers to the road of recovery. Along the way, an army of experts has been enlisted to help characterize the extent of the problem and how the Sustainable Groundwater Management Act of 2014 is implemented in a manner that reflects its original intent. The owner of California Water Service has made an unsolicited bid to buy the owner of San Jose Water, a takeover attempt revealed Thursday that pits the South Bay’s two principal water companies against each other. San Jose-based California Water Service Group has made an unsolicited $1.9 billion offer to buy San Jose-based SJW Group. Western Water writer Gary Pitzer explored how California water regulators are trying to address the impacts on water quality and supply from this newly regulated industry, how federal officials are approaching it and what other states that have legalized marijuana have done. And he addressed the question that remains on many minds: Will growers that have operated in the shadows for years accept the new regulations or shrug them off as too burdensome. The nearly 30 contractors that are part of the State Water Project are expected to receive 30 percent of the water they have requested for 2018 – up from January’s estimate of 20 percent – according to the Department of Water Resources. DWR Director Karla Nemeth stated in a news release that late precipitation and snow in March contributed to the rise in projected allocations. WESTERN WATER IN-DEPTH: State crafts water right and new rules unique to marijuana farms, but will growers accustomed to the shadows comply? For decades, cannabis has been grown in California – hidden away in forested groves or surreptitiously harvested under the glare of high-intensity indoor lamps in suburban tract homes. In the past 20 years, however, cannabis — known more widely as marijuana – has been moving from being a criminal activity to gaining legitimacy as one of the hundreds of cash crops in the state’s $46 billion-dollar agriculture industry, first legalized for medicinal purposes and this year for recreational use. As we continue forging ahead in 2018 with our online version of Western Water after 40 years as a print magazine, we turned our attention to a topic that also got its start this year: recreational marijuana as a legal use. State regulators, in the last few years, already had been beefing up their workforce to tackle the glut in marijuana crops and combat their impacts to water quality and supply for people, fish and farming downstream. Thus, even if these impacts were perhaps unbeknownst to the majority of Californians who approved Proposition 64 in 2016, we thought it important to see if anything new had evolved from a water perspective now that marijuana was legal. According to a new report in the journal PLOS One, we Americans wasted just over 25% of our food between 2007 and 2014. … Each year, just short of 4.2 trillion gallons of water were used to produce all this uneaten food. That includes nearly 1.3 trillion gallons of water to grow uneaten fruits and 1 trillion gallons of water to grow uneaten vegetables. Tension over the drought-stressed Colorado River escalated into a public feud when four U.S. states accused Arizona’s largest water provider of manipulating supply and demand, potentially threatening millions of people in the United States and Mexico who rely on the river. We explored the lower Colorado River where virtually every drop of the river is allocated, yet demand is growing from myriad sources — increasing population, declining habitat, drought and climate change. The 1,450-mile river is a lifeline to 40 million people in the Southwest across seven states and Mexico. 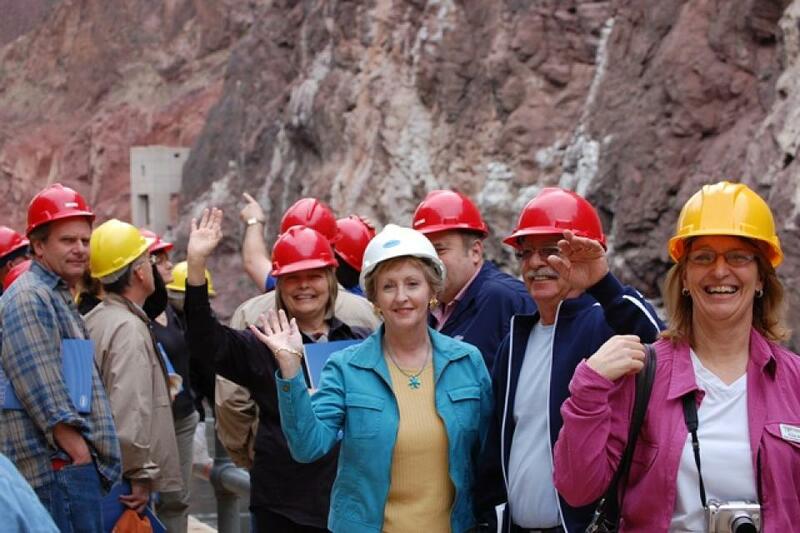 How the Lower Basin states – Arizona, California and Nevada – use and manage this water to meet agricultural, urban, environmental and industrial needs was the focus of this tour. Zinke goes West, Then what? Too many decisions about the West get made in Washington, D.C. At least, that’s what the Secretary of the Interior thinks. Ryan Zinke plans to move thousands of the department’s employees out west to manage water, public lands and energy from there. 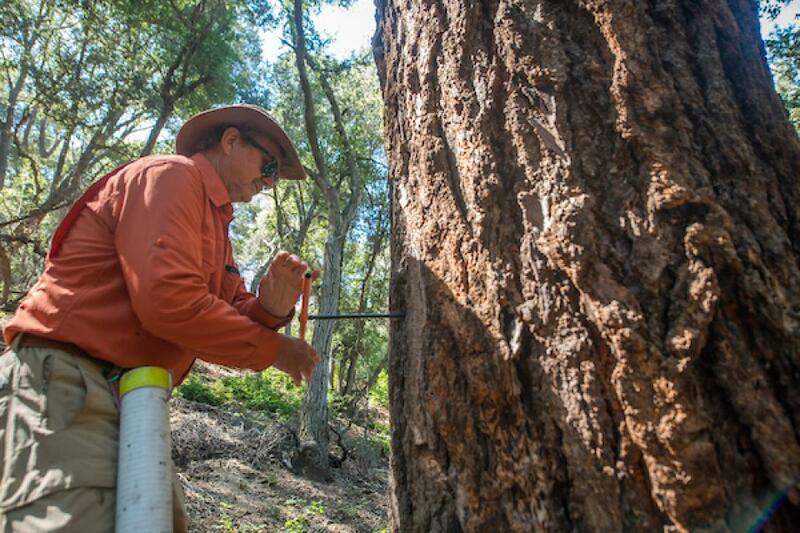 Learn what new tree-ring studies in Southern California watersheds reveal about drought, hear about efforts to improve subseasonal to seasonal weather forecasting and get the latest on climate change impacts that will alter drought vulnerability in the future. At our Paleo Drought Workshop on April 19th in San Pedro, you will hear from experts at NASA Jet Propulsion Laboratory, University of Arizona and California Department of Water Resources. Joaquin Esquivel learned that life is what happens when you make plans. Esquivel, who holds the public member slot at the State Water Resources Control Board in Sacramento, had just closed purchase on a house in Washington D.C. with his partner when he was tapped by Gov. Jerry Brown a year ago to fill the Board vacancy. 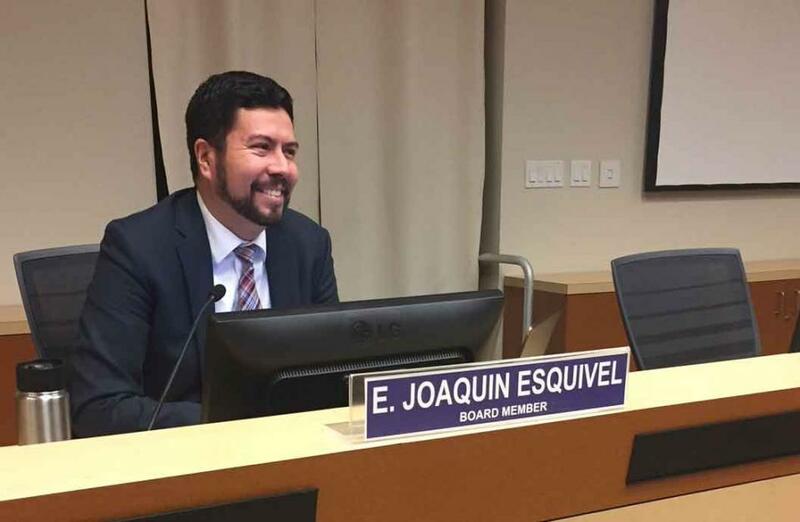 Esquivel, 35, had spent a decade in Washington, first in several capacities with then Sen. Barbara Boxer, D-Calif., and then as assistant secretary for federal water policy at the California Natural Resources Agency. 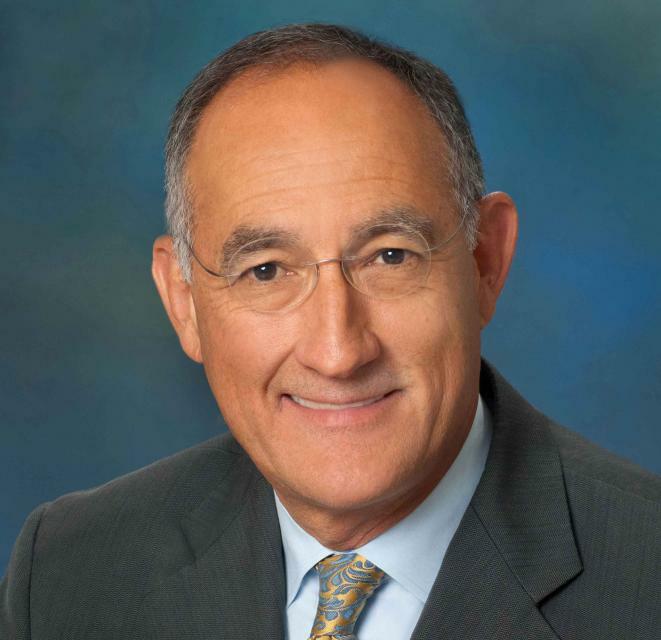 As a member of the State Water Board, he shares with four other members the difficult task of ensuring balance to all the uses of California’s water. We ventured through California’s Central Valley, known as the nation’s breadbasket thanks to an imported supply of surface water and local groundwater. Covering about 20,000 square miles through the heart of the state, the valley provides 25 percent of the nation’s food, including 40 percent of all fruits, nuts and vegetables consumed throughout the country. Every storm helps improve the state’s summer water picture, scientists and state water planners said Thursday. But even taking into account this storm and a big one two weeks ago, the Sierra Nevada snow pack — the source of nearly one-third of California’s water supply — still is only about half of normal for this winter season, with this month’s totals measuring just half of the 1991 miracle month’s final tally. U.S. scientists studying the effects of uranium mining around the Grand Canyon say they are lacking information on whether the radioactive element is hurting plants, animals and a water source for more than 30 million people. And they would not get to fully gather it if President Donald Trump’s 2019 budget proposal is approved. A major storm system is forecast to slam into California from Alaska and Canada starting Wednesday night, bringing soaking rain to the Bay Area on Thursday and dumping up to seven feet of new snow to the historically dry Sierra Nevada by Saturday. But as welcome as the snow is during a very dry winter so far, it won’t be enough to return the Sierra Nevada — the source of 30 percent of California’s water supply — back to its average for the year, experts said Tuesday. This April 19th workshop in San Pedro was focused on helping Southern California water agencies and others to gain information for improving drought preparedness and updating Urban Water Management Plans. 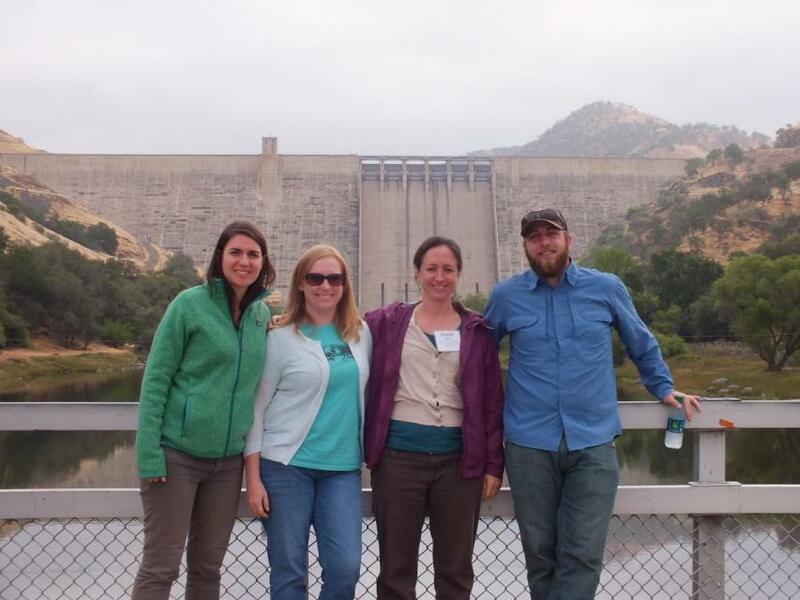 The workshop was sponsored by the California Department of Water Resources (DWR) and the Water Education Foundation. 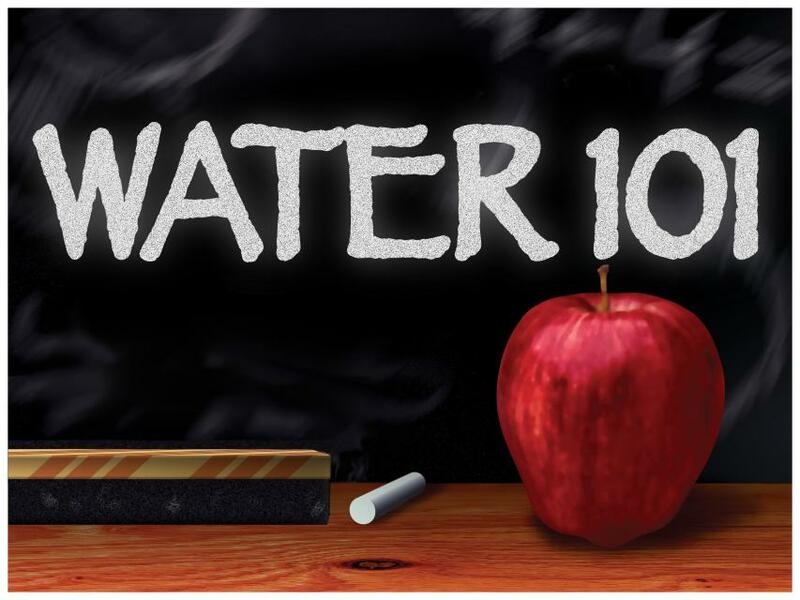 One of our most popular events, Water 101 details the history, geography, legal and political facets of water in California as well as hot topics currently facing the state. Taught by some of the leading policy and legal experts in the state, the one-day workshop gives attendees a deeper understanding of the state’s most precious natural resource. The Sierra snowpack may be next to nothing, but the Stockton area is set to receive another full supply of water from New Melones Lake, and there’s no reason to expect a shortage here this year, officials said. … While the Stockton area is getting its full share from New Melones, other federal water contractors are not as fortunate. Does California’s Environment Deserve its Own Water Right? IN-DEPTH: Fisheries and wildlife face growing challenges, but so do water systems competing for limited supply. Is there room for an environmental water right? Does California need to revamp the way in which water is dedicated to the environment to better protect fish and the ecosystem at large? In the hypersensitive world of California water, where differences over who gets what can result in epic legislative and legal battles, the idea sparks a combination of fear, uncertainty and promise. Saying that the way California manages water for the environment “isn’t working for anyone,” the Public Policy Institute of California (PPIC) shook things up late last year by proposing a redesigned regulatory system featuring what they described as water ecosystem plans and water budgets with allocations set aside for the environment. Assembly Republican Leader Brian Dahle, pulling a child’s red wagon, arrived at a meeting of the California Water Commission with a stack of petitions with 4,000 signatures supporting the two largest reservoir projects seeking bond money: Sites Reservoir north of Sacramento and Temperance Flat in the San Joaquin Valley. With the threat of another drought looming, west San Joaquin Valley farmers received some dismal news Tuesday about this year’s water allocation. The initial allocation from the Central Valley Project is 20 percent, the U.S Bureau of Reclamation announced on Tuesday. More than six years after critics began calling for a full economic study of the Delta tunnels plan, the Brown administration released one on Tuesday, finding that the benefits outweigh the costs — albeit by a slim margin for some water users. Even a single water tunnel burrowed under the California’s Delta would be worth it for urban ratepayers and farmers who would to pay to build and maintain the project, according to an analysis released Tuesday by Gov. Jerry Brown’s administration. Every day, people flock to Daniel Swain’s social media platforms to find out the latest news and insight about California’s notoriously unpredictable weather. Swain, a climate scientist at the Institute of the Environment and Sustainability at UCLA, famously coined the term “Ridiculously Resilient Ridge” in December 2013 to describe the large, formidable high-pressure mass that was parked over the West Coast during winter and diverted storms away from California, intensifying the drought. 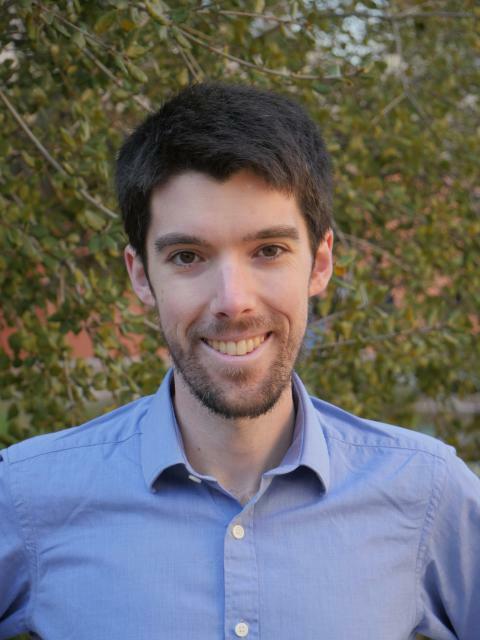 Swain’s research focuses on atmospheric processes that cause droughts and floods, along with the changing character of extreme weather events in a warming world. A lifelong Californian and alumnus of University of California, Davis, and Stanford University, Swain is best known for the widely read Weather West blog, which provides unique perspectives on weather and climate in California and the western United States. In a recent interview with Western Water, he talked about the Ridiculously Resilient Ridge, its potential long-term impact on California weather, and what may lie ahead for the state’s water supply. Researchers, government officials, and technical experts met February 8 in Washington, D.C. for the first meeting of a National Academy of Sciences investigation on minimizing the spread of Legionella bacteria in building plumbing and municipal water systems. Legionnaires’ disease sickened at least 6,141 people in 2016 in the United States and killed several hundred, a death toll that is higher than any other water-related illness in the country. Be prepared for some of the West’s biggest and most important rivers and streams to see record low flows this spring and summer. That’s the message of the Colorado Basin River Forecast Center’s latest water supply forecast released Monday. Many Western reservoirs are full, and downpours have triggered floods and deadly mudslides in parts of California. But all that water isn’t enough to save the West from another drought. Most of the region has slipped back into the drought conditions that have plagued it on and off for the past two decades—alarming water managers across several states. I’m [Mark Arax] going to Kern County, just shy of the mountains, to figure out how the biggest farmers in America, led by the biggest of them all, are not only keeping alive their orchards and vineyards during drought but adding more almonds (79,000 acres), more pistachios (73,000 acres), more grapes (35,000 acres), and more mandarins (13,000 acres). Even as the supplies of federal and state water have dropped to near zero, agriculture in Kern keeps chugging along, growing more intensive. Hampered by hot weather and a stubborn high-pressure ridge that has blocked winter storms, California’s Sierra Nevada snowpack — a key source of the state’s water supply — on Tuesday was a paltry 30 percent of normal. The last time there was so little Sierra snow at the end of January was in 2015, when it was 25 percent of its historic average. The Department of Water Resources said Monday it currently expects to provide customers of the State Water Project with just 20 percent of their requested amounts. The storms have passed and California’s dry winter has returned, raising the specter that the state could be entering another drought less than a year after the last one officially ended. An application for $1 billion of state bond money to build Temperance Flat dam east of Fresno scored a dismal zero from the California Water Commission on the cost-benefit ratio, potentially jeopardizing its construction. Supporters of the dam expressed shock and dismay and are blaming the commission staff for the low score. They’ve got company. Nothing sharpens the political divide in California like a fight over water. Just before New Year’s, the U.S. Bureau of Administration announced it would try to “maximize water deliveries” to the agricultural districts that belong to the federal government’s Central Valley Project. Wednesday’s Top of the Scroll: Could a major California city run dry like drought-stricken Cape Town? A dystopian drama is unfolding in Cape Town, a popular tourist destination of nearly 4 million on the coast of South Africa that in April is expected to become the modern world’s first major city to run out of water after three years of drought. For Californians, who panted through five years of record drought before last winter and have seen a fairly dry winter so far this year, it raises the worrisome question: Could it happen here? All utilities, to varying degrees, shut off water service to households who do not pay bills. Shutoffs, utilities argue, are an essential tool for maintaining financial health. They are the leverage that ensures payment. The universe of U.S. water utilities is vast and varied. There are more than 50,000 systems that serve 15 or more people year-round. 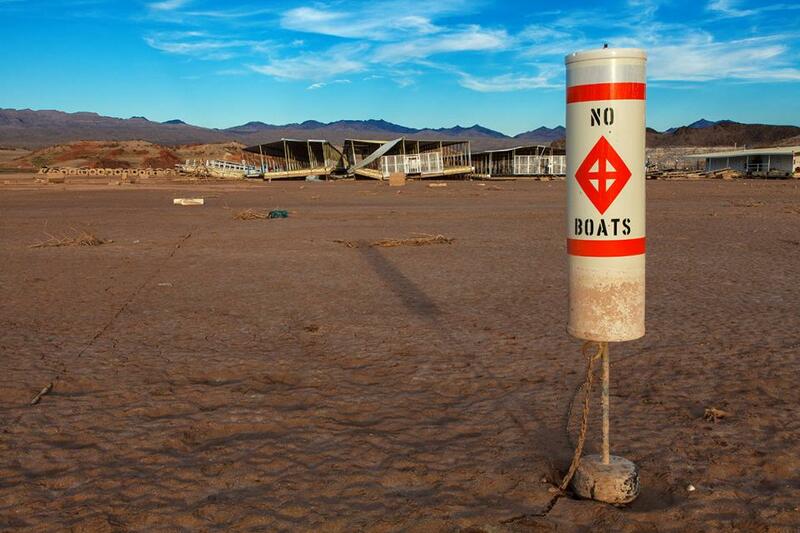 The first forecast for the Colorado River is in, and the outlook for the coming year is bleak. The National Weather Service’s Colorado Basin River Forecast Center predicts the river will flow at about 54 percent of its average volume during the key runoff period from April to July. The story of water in 2017 was one of trial and response. America’s water utilities, for instance, are caught between two forces: a need to reinvest in aging systems and income stagnation among the bottom 20 percent that is calling into question the affordability of water service for the poor. Overseas, the risks to life and health are more immediate. As Congress debated a tax cut that would transfer an enormous amount of wealth from America’s poor and middle classes to its rich, a United Nations expert was visiting people already pushed over the edge by poverty. … [Philip] Alston’s findings also reflect how the widening gap between rich and poor in the United States worsens the country’s challenges for drinking water access, sanitation, and health. With the country and the world facing increasing strain on water resources, beer companies, including craft brewers, are learning how to do more with less water. … Craft brewers have recently struggled with water shortages in the American West. During the California drought, the city of Chico asked Sierra Nevada Brewing to reduce its water usage by more than 30 percent. The 2017 Water Leaders class organized by the Water Education Foundation completed its year with a report outlining policy recommendations for the future of water storage in California. Deepen your knowledge of California water issues at our popular Water 101 Workshop and jump aboard the bus the next day to visit the Sacramento-San Joaquin Delta, a 720,000-acre network of islands and canals that supports the state’s water system and is California’s most crucial water and ecological resource. As firefighters battled a destructive wildfire that swept through neighborhoods in Ventura, they were stymied by some fire hydrants that didn’t work. Officials said power outages caused by the fire and heavy winds left some water pumping stations inoperable, meaning water couldn’t reach the fire hydrants. It can be very expensive, for instance, to build a new water treatment plant or connect with one in the next closest town. … Now a team of engineers and students at the University of California, Los Angeles, has developed a water treatment system that fits in a 40ft shipping container. Scientists have calculated future scenarios for the coming decades that include sea-level rise, more severe rainfall and an increase in the frequency of heatwaves. Some areas will get drier, others wetter. No matter what the future brings, one thing is clear: Impacts from a warming climate are already being felt across the American West, with changes to ecosystems and water supply. Atmospheric rivers are relatively narrow bands of moisture that ferry precipitation across the Pacific Ocean to the West Coast. 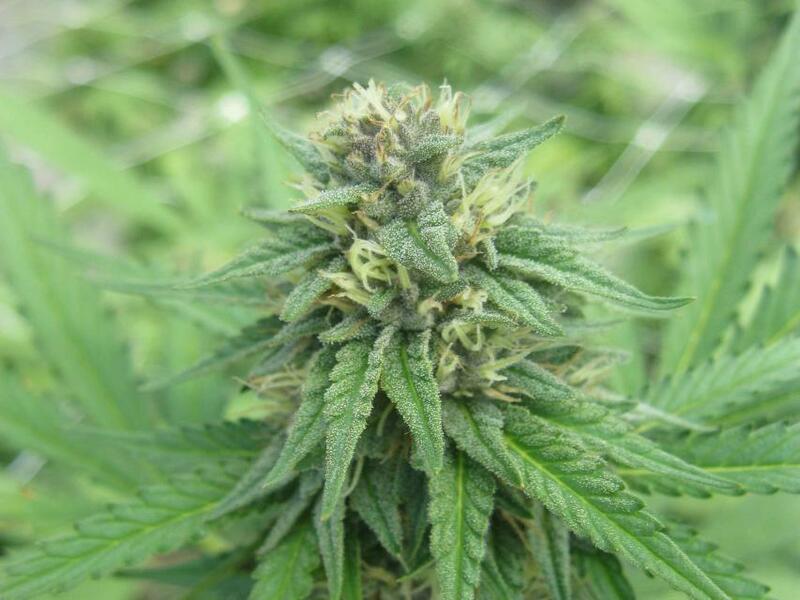 They are commonly referred to as the “Pineapple Express” because of their origins in tropical regions. While atmospheric rivers are necessary to keep California’s water reservoirs full, some of them are dangerous because the extreme rainfall and wind can cause catastrophic flooding and damage. Their presence has been likened to the West Coast version of the hurricane hazard posed to the Southeastern United States. The state Department of Water Resources on Thursday, Nov. 30, announced an initial water allocation of 15 percent for most of its State Water Project contractors for 2018. The low percentage is a conservative figure, which is typical of the department’s early season forecast. California’s wettest months of the year are still to come, but the state’s largest water reservoirs already appear to be in decent shape. As of Nov. 27, most of California’s major reservoirs were above their historical averages for this time of year, according to the Department of Water Resources. How close is too close for hydraulic fracturing? Although the majority of Americans get their drinking water from a municipal, public supply, 1 in 7 rely on private water wells. Though wells for drinking water and wells for oil and gas production are known to exist in the same geographic regions, their proximity to one another across the United States was uncertain. … “Forty-five million Americans rely on private groundwater wells for their drinking water,” says Scott Jasechko, assistant professor at Bren School of Environmental Science & Management, University of California at Santa Barbara. For decades, no matter the weather, the message has been preached to Californians: use water wisely, especially outdoors, which accounts for most urban water use. Enforcement of that message filters to the local level, where water agencies routinely target the notorious “gutter flooder” with gentle reminders and, if necessary, financial penalties. This three-day, two-night tour explored the lower Colorado River where virtually every drop of the river is allocated, yet demand is growing from myriad sources — increasing population, declining habitat, drought and climate change. The 1,450-mile river is a lifeline to 40 million people in the Southwest across seven states and Mexico. How the Lower Basin states – Arizona, California and Nevada – use and manage this water to meet agricultural, urban, environmental and industrial needs is the focus of this tour. This tour explored the Sacramento River and its tributaries through a scenic landscape as participants learned about the issues associated with a key source for the state’s water supply. All together, the river and its tributaries supply 35 percent of California’s water and feed into two major projects: the State Water Project and the federal Central Valley Project. Tour participants got an on-site update of repair efforts on the Oroville Dam spillway. 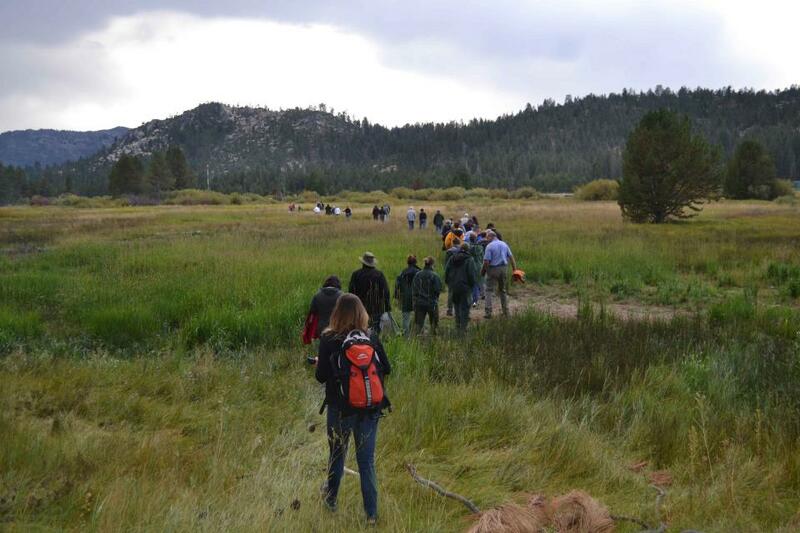 Participants of this tour snaked along the San Joaquin River to learn firsthand about one of the nation’s largest and most expensive river restoration projects. The San Joaquin River was the focus of one of the most contentious legal battles in California water history, ending in a 2006 settlement between the federal government, Friant Water Users Authority and a coalition of environmental groups. This tour travels deep into California’s water hub and traverses the Sacramento-San Joaquin Delta, a 720,000-acre network of islands and canals that supports the state’s water system and is California’s most crucial water and ecological resource. The tour will make its way to San Francisco Bay and includes a ferry ride. The thousands of miles of concrete channels diverting street water from the San Gabriel and Los Angeles rivers represent the last major water project in Los Angeles County, built almost 100 years ago. On Thursday, Dave Sorem, owner and vice president of Mike Bubalo Construction Co., showed off the first of a second wave of street-water projects that elevate what is essentially water pollution into a drinkable water source. For as long as agriculture has existed in the Central Valley, farmers have pumped water from the ground to sustain their livelihood and grow food consumed by much of the nation. This has caused the ground in certain places to sink, sometimes dramatically, eliminating valuable aquifer storage space that can never be restored. 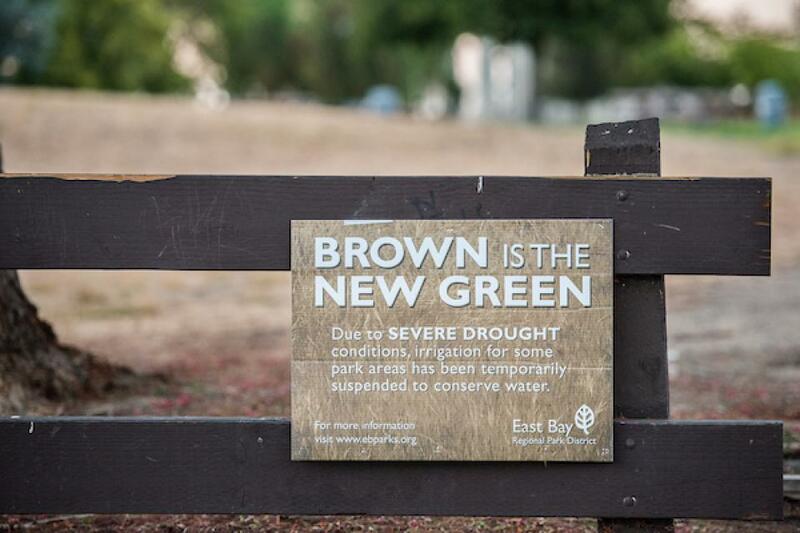 Californians slashed their water use during the drought. But a new study finds we still used more than the national average. Between 2015 and 2010, Californians slashed their water use by seventeen percent, according to the US Geological Survey report. It was raining and Judy Adler had a broken gutter. What could have been a simple repair turned into an effort to capture rain and use it for her backyard pond. Since late 2009, Adler has collected up to 11,000 gallons of rain annually at her Walnut Creek home. Over the past 12 years, the country’s biggest urban water agency has paid farmers about $190 million not to grow crops on thousands of acres near the Colorado River in the Palo Verde Valley. The water has gone to Los Angeles and other cities across Southern California, and in return, the farmers who’ve left some of their lands unplanted have been able to count on additional income. The way water is acquired and distributed throughout the Santa Clarita Valley changed forever Sunday when Governor Jerry Brown signed a bill creating one new all-encompassing water district for the SCV. Sonoma County officials said they will not let people return home until it is safe and utilities are restored. Crews have been working around the clock to connect water and power, in some cases putting up new poles next to smoldering trees, the sheriff said. Wednesday’s Top of the Scroll: California’s reservoirs are full, but will this winter be wet? Like every autumn, October is bringing cooler weather, changing leaves and pumpkins to fields across California. But unlike the past five years, when a historic drought gripped the state, there’s something new across the landscape: full reservoirs. Camp Pendleton officials swear that the water consumed by 55,000 Marines and their families is safe, despite a pair of scathing state and federal investigations indicating chronic problems in the treatment systems at the sprawling military base. Federal fisheries regulators have approved a controversial plan opposed by environmental groups that would allow for more pumping from the Sacramento-San Joaquin Delta this fall. Environmentalists are opposed to a proposal championed by the U.S. Bureau of Reclamation and Southern California water interests to ramp up pumping from the Sacramento-San Joaquin Delta starting next week. One day after the largest water district in America pulled out of a $17 billion state project to build twin tunnels under the Delta, a water supplier for 220,000 Alameda County residents supported the plan and said it wants to join in. Around California, the country and the world, reservoirs are silently filling with sediment, and only a few people are thinking about it. … According to new research from the U.S. Geological Survey, in many regions erosion rates are now accelerating thanks to wildfires and climate change. The western U.S., which relies on reservoirs for vital water storage and flood control, will be particularly impacted. Nestled in thick brush high in the San Bernardino Mountains, bunker-like structures protrude from the rocky slopes. Built with stone and concrete and secured with metal doors and padlocks, these vaults are connected to a series of stainless steel pipelines that run down the mountainside like veins. A dozen water storage projects in California are now officially in the running for a share of $2.7 billion in state bond funds. But experts are cautioning that taxpayers shouldn’t get their hopes up that these projects will solve chronic water shortages in the state. The money comes from Proposition 1, a bond measure approved by state voters in 2014. A federal judge tapped the brakes Thursday but didn’t stop a proposal for a massive and expensive water pipeline to draw underground water from rural valleys along Nevada’s eastern edge to supply the growing Las Vegas metropolitan area. During the drought, Californians often asked why the state wasn’t building more reservoirs. On Tuesday, the state finally began taking a major step toward that goal, unveiling a list of 12 huge new water projects — from massive new dams in the north to expanded groundwater banks in the south — that will compete for $2.7 billion in state bond funding for new water storage projects. Heavy winter snows in the Rocky Mountains have rescued the thirsty Western U.S. for another year. 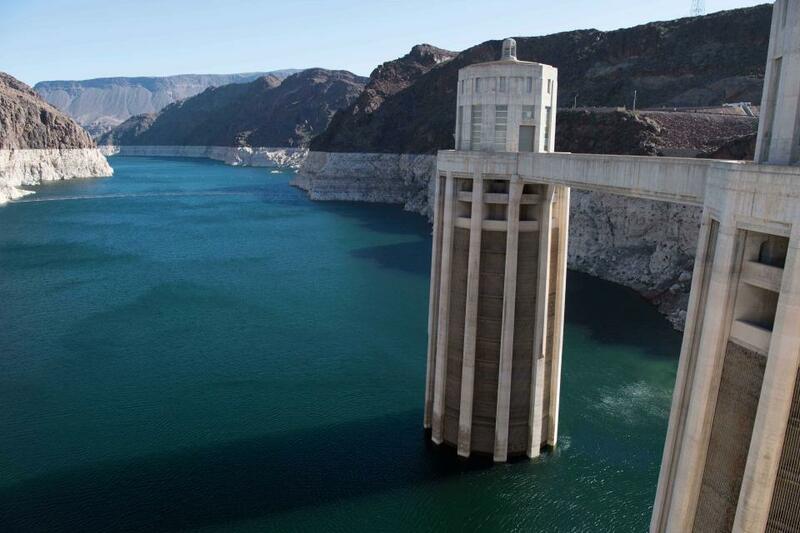 U.S. water managers said Tuesday there will be no water cutbacks in 2018 for millions of residents and farmers served by the Lake Mead reservoir on the Colorado River that lies behind the Hoover Dam. California voters in 2014 approved a ballot measure that allocates $2.7 billion for water storage projects. It’s likely there will be hot competition for the money when the California Water Commission gets around to awarding it next year. This week is the application deadline for projects requesting funding from the $7.5 billion Proposition 1 water bond that California voters approved in 2014. A $914 million plan to expand the Los Vaqueros Reservoir as drought insurance for millions of Bay Area residents picked up endorsements Monday from six conservation groups in a rare display of environmental support for new water development. 3. Bad news for California. Warming will probably bring further reductions in winter and spring snowpack, which the state depends on for much of its water supply. As California water becomes an increasingly precious and contentious resource, the state needs an umpire with the power to enforce laws against illegal diversions and protect the rights of the public and others with enforceable claims to state water. East Porterville took by far the hardest hit in the [San Joaquin] valley during the drought, state officials say. … The State Water Resources Control Board has responded with $35 million to connect East Porterville’s 300-plus dry homes to Porterville’s system. Another 400 homeowners who didn’t lose their wells have opted into the Porterville hookup to prevent future water problems. Shirlee Zane, the chairwoman of the Sonoma County Board of Supervisors, is set to appear before a Congressional panel in Washington, D.C., this week to discuss the county’s efforts to better manage its water supply and respond to major storms. … Zane intends to tell senators about two initiatives led by the Sonoma County Water Agency, of which she is also a board member. The deadline is Aug. 14 to apply for water storage funding from the Proposition 1 bond measure voters approved in 2014, and while the folks working to build Sites Reservoir will be applying, they don’t need the money. Enough water agencies have agreed to invest in the reservoir near Maxwell that it can be built without taxpayer funds, according to Sites Project Authority General Manager Jim Watson. As the summer sun was warming up on a July morning, a crowd of nearly 100 people gathered on the north steps of the California Capitol, many having arrived stiff-legged after a four-hour bus ride. … Most were San Joaquin Valley residents, including children as young as 5, who woke up before dawn to travel to the state capital to voice their support for Senate Bill 623, the Safe and Affordable Drinking Water Fund. Since the state’s drought officially ended earlier this year, there’s also been a precipitous drop in Californians worrying about having enough water. 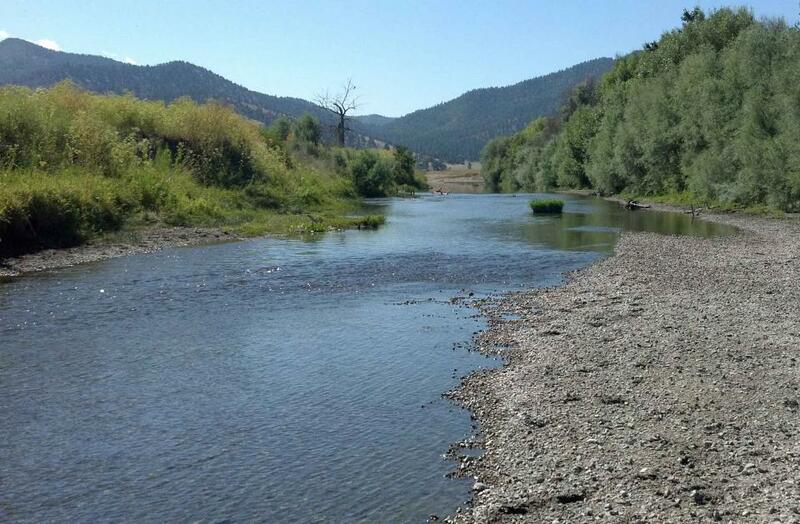 Last July, 62 percent said water supply was a big problem for the state. With a friend in the White House and their party in control of both chambers of Congress, House Republicans have embarked on their most ambitious effort yet to change the way water flows in California. Legislation that the House sent to the Senate last week outlines a bold effort to build big new dams and shift water from fish, birds and other wildlife to farms in the San Joaquin Valley. The coastal town of Davenport, gateway to the new Cotoni-Coast Dairies National Monument and home to 100 households, may be running out of water. The problem started in February when storms damaged the water intake at San Vicente Creek that provided the town with water. When it comes to managing water in uncertain times, few things are more important than knowing how much is flowing in the river alongside your city, or filling the reservoir that irrigates local farms. … But this basic information is at risk across the West because the nation lacks a reliable funding source for the simple stream gages that measure river flows. Every year for almost half a century, California snow surveyor Pat Armstrong has trekked the rugged Sierra Nevada with three simple tools: a snow core tube, a scale and a notebook. For as long as he can remember, state water officials have relied on the accuracy of those tools to deliver crucial data on the size of the Sierra snowpack and its ability to sustain a growing population. Nearly five years ago, the California Legislature declared that the state’s residents have a right to “safe, clean, affordable, and accessible water.” Passage of the landmark law provoked a practical question that has always dogged the noble ideals of the right-to-water movement: how does a state government or municipal utility ensure clean and affordable water for all? … Staff members at the California Water Resources Control Board are now taking a full swing at the affordability component of the right-to-water legislation. One of the wettest years in California history that ended a record five-year drought has rejuvenated the call for new storage to be built above and below ground. In a state that depends on large surface water reservoirs to help store water before moving it hundreds of miles to where it is used, a wet year after a long drought has some people yearning for a place to sock away some of those flood flows for when they are needed. The nation’s largest irrigation district will store water in the Los Vaqueros Reservoir in a test of how the lake can be used as drought insurance for millions of Californians. High temperatures put the Merced River in Yosemite National Park over flood stage on Thursday as snow from higher elevations melted and flowed into the river’s basin. But most Central California reservoirs, preparing for the warmer weather and melting snowpack throughout the Sierra, have excess capacity to handle such runoff. State officials on Monday reported a near-record May snowpack, but the bountiful winter that demolished California’s five-year drought is now increasing the risk of late spring flooding, as temperatures climb across the Sierra Nevada. 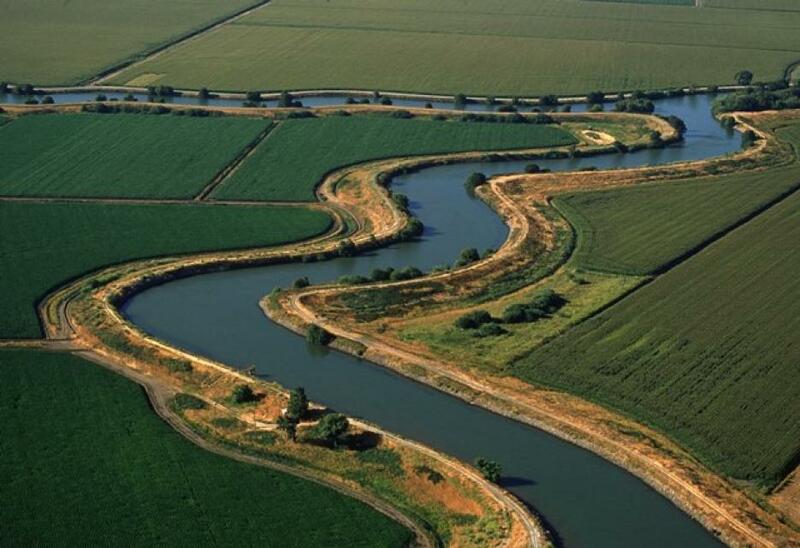 The Department of Water Resources announced that contractors north of the Sacramento-San Joaquin Delta will receive full allocations this year. Those south of the Delta, including the giant Metropolitan Water District of Southern California, will get 85 percent of what they’ve requested. The water agency that supplies drinking water to Los Angeles agreed Tuesday to contribute $1.5 million toward the planning of Sites Reservoir in the Sacramento Valley, giving the agency a toehold in a potentially valuable storage project. As big snowflakes fell high in California’s Sierra Nevada on Thursday, surveyors on snowshoes measured the deepest springtime snowpack in years and said it boosted concerns about destructive floods when all that snow melts. The biggest blizzards are over. But as state water officials head into the Sierra Nevada on Thursday for the annual April 1 snowpack reading — the most important of the year for planning summer water supplies — California still has a huge amount of snow covering its highest mountain peaks, an avalanche that has buried the state’s punishing drought. Among the projects listed by the unions is the $1 billion Huntington Beach Desalination Plant in California. … Also in Southern California, the Cadiz water project aims to tap groundwater from the Mojave Desert to supply roughly 100,000 homes. As snow continued to fall on the eastern Sierra Nevada on Monday, platoons of earth movers, cranes and utility trucks fanned out across the Owens Valley, scrambling to empty reservoirs and clean out a lattice-work of ditches and pipelines in a frantic effort to protect the key source of Los Angeles’ water. 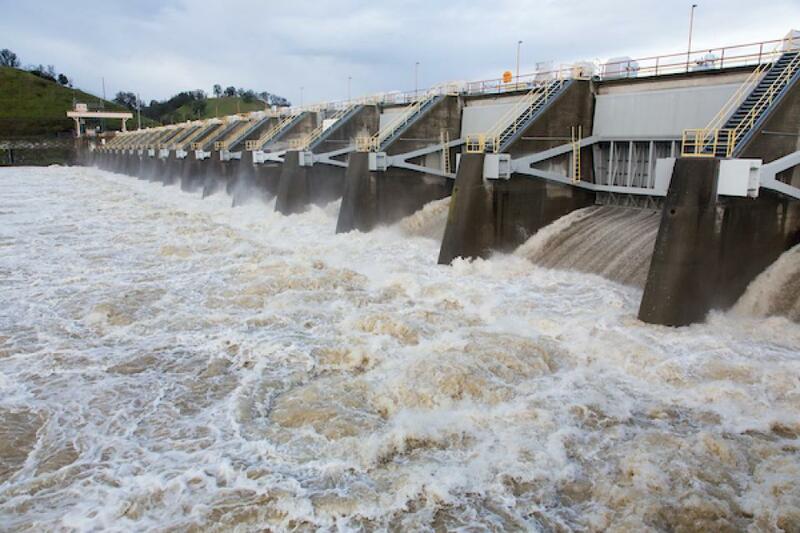 A state reservoir at the starting point to ship Delta water to 23 million Californians has been damaged by heavy water flows this winter — which may trigger a temporary shutdown of the state’s giant water pumps. 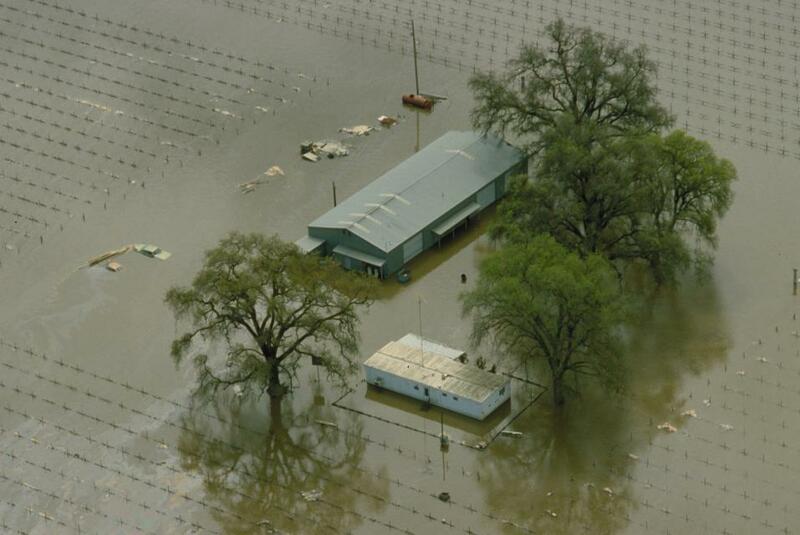 State officials say that it will take 30 to 45 days to repair damage detected this week at a key point in the state’s system for shipping water from the Delta to farms in the San Joaquin Valley and to cities from Silicon Valley to Los Angeles. 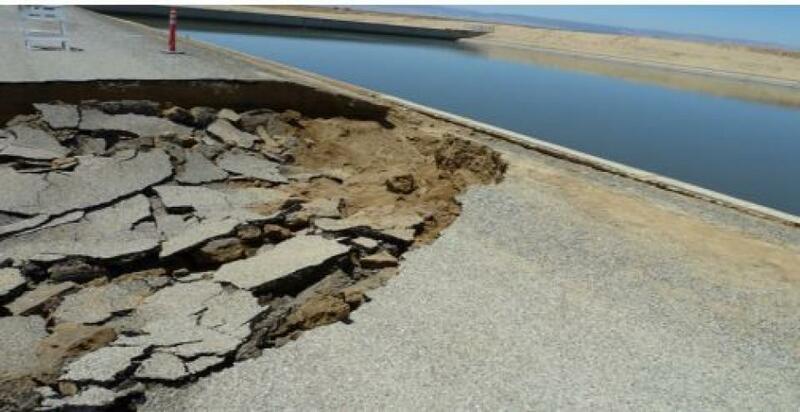 Can California repair damaged Delta reservoir within 45 days? State officials said Wednesday that Californians reliant on water pumped out of the Sacramento-San Joaquin Delta won’t face supply shortages, even as crews shut down a massive pumping station that serves much of Southern California for at least a month to make repairs to its intake reservoir. Plunging the long, metal rod into the snow beneath his feet in the mountain town of Phillips, state snow survey chief Frank Gehrke measured the Sierra Nevada snowpack Wednesday not against California’s recent, historic drought but against its biggest rain years. Sierra snowpack ‘pretty phenomenal’ but is it record breaking? There’s “a pretty phenomenal snowpack” in the Sierra Nevada, but not enough to break the record for the same date set in the winter of 1969. The massive snowdrifts in the Sierra Nevada could finally bring the California drought to its knees and keep skiers on the slopes long enough to celebrate the Fourth of July. Clambering through a snowy meadow with drifts up to the tree branches, California’s water managers measured the state’s vital Sierra Nevada snowpack Thursday at a drought-busting and welcome 173 percent of average. Snowfall from a series of blizzard-like storms that blanketed the Sierra Nevada last month deposited the equivalent of more than 5.7 trillion gallons of water along the rugged mountain range — enough water to fill California’s largest reservoir more than four times, according to recent analysis. Folsom Lake less than half full after recent rains. 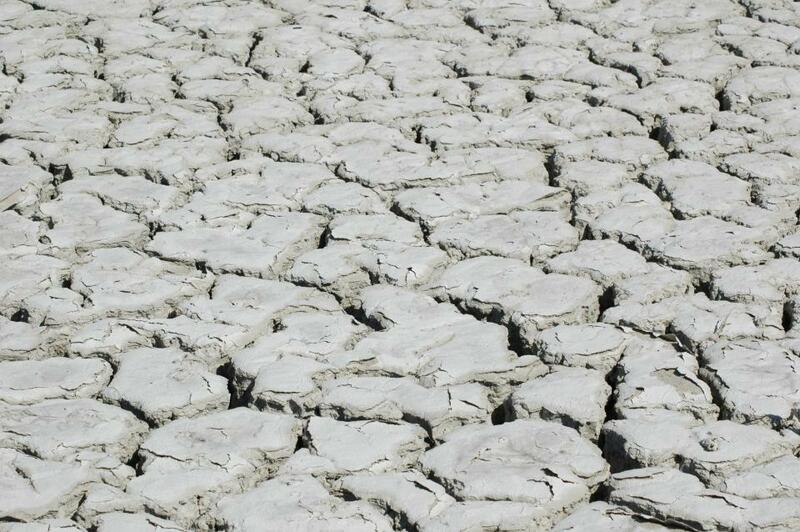 Residents ask: Why so dry? Northern California is on track to break rainfall records. … But you wouldn’t know the region has experienced an exceptionally wet winter looking at the steep, dry shores ringing the Sacramento region’s largest reservoir, Folsom Lake. Southern California can expect to see its reservoirs continue to rise this year after state water officials announced increased water deliveries from Northern California on Wednesday, Jan. 18. Assemblyman James Gallagher, R-Yuba City, is leading a troupe of lawmakers today on a tour of the Sites Reservoir, a $4.4 billion proposed water storage project four decades in the making. Leaning against a wooden rail, environmental activist Geoffrey McQuilkin took stock of a parched geological wonderland [Mono Lake] that had been altered by a weekend deluge. … Similar scenes were playing out at lakes and reservoirs across Northern California as weeks of heavy rain and snow brought them back to life. The powerful storms that soaked Northern California over the past week did more than trigger power outages, mudslides and flash floods. … Officially, California’s drought won’t end until Gov. 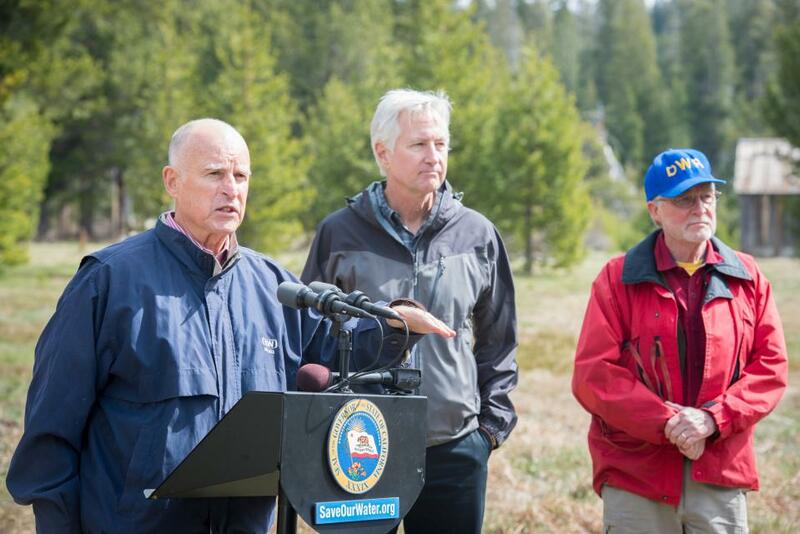 Jerry Brown rescinds or revises the emergency drought declaration he signed in January 2014. Two weeks before President Barack Obama leaves office, his administration vowed to move full speed ahead on California’s controversial Delta tunnels project, calling it essential for the state’s water supply as well as its environment.